Czech President Miloš Zeman’s initiatives towards China have greatly politicized the country’s foreign policy and become an integral part of an increasingly acrimonious domestic political competition. The Dalai Lama’s visit to Prague last week provided yet more proof that the Czech Republic’s policy towards the People’s Republic of China has substantially shifted. Gone are the days when the Tibetan spiritual leader received official welcome by former Czech President Václav Havel while in office. This time, the organizers of the Dalai Lama’s visit were banished by the administration of Czech President Miloš Zeman from the vicinity of Prague Castle, where the Dalai Lama had intended to give a speech. Paradoxically, prominent extremist anti-Muslim leader Martin Konvička, who has previously been endorsed by the President, gave a speech at the same spot eight months ago. Following the meeting, the President, the Prime Minister and the heads of both chambers of the Czech Parliament published a joint statement in which they distanced themselves from these ministers’ actions. In the strongly worded statement, they expressed their respect for China’s territorial integrity. As it later turned out, the statement was preceded by a confidential visit of China’s ambassador Ma Keqing to Prague Castle, the seat of the Czech President. The statement, in turn, provoked counter-reactions. 50 Czech MPs met with the Dalai Lama the following day at the premises of the Senate. Even the popular Minister of Finance Andrej Babiš, despite his previous caution and silence on the issue, now openly questioned the economic rationality of promoting deeper relations with China. Major Czech universities and municipalities reacted by flying Tibetan flags. As an ugly coda to the whole affair, President Zeman allegedly withdrew Jiří Brady, a noted Holocaust survivor and uncle of Minister Herman, one of those who met with the Dalai Lama, from the list of nominees for the highest state order to be awarded on the National Day of October 28th. 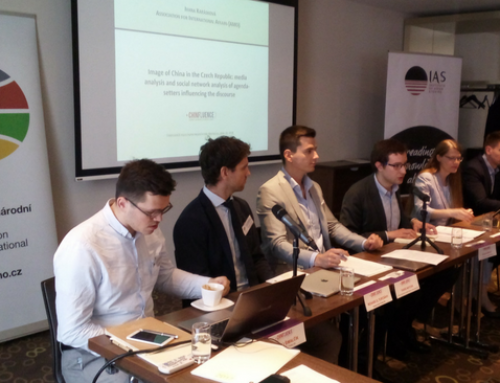 The whole situation demonstrates a deepening ideological rift within the Czech political elite and within society at large. Some three years ago, President Zeman made an unambiguous turn towards closer partnership with the PRC, culminating with Xi Jinping’s official visit to Prague in March of this year. Using the discourse of economic profitability, Zeman and his backers promoted Chinese investment in the Czech Republic as well as opportunities for Czech businessmen in China. 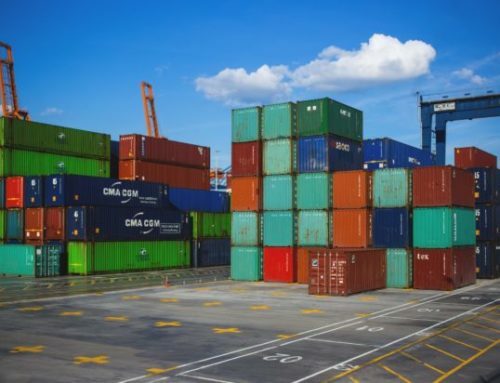 Despite the fact that actual Czech exports of goods to China amount to a mere 2% of the total, and Chinese investment in the Czech Republic (0.36 %) pales in comparison to other major economic partners, including Asian ones such as South Korea (14% of foreign investment in the Czech Republic) and Japan (7 %), the initiative has been nothing short of grandiose. The overarching narrative casts economic partnership with Beijing as a major opportunity for the Czech economy, one for which other foreign policy interests, preferences and values need to be subsumed. President Zeman has so far received continuous if cautious backing from Prime Minister Bohuslav Sobotka and Social Democratic ministers, including Minister of the Interior Milan Chovanec. This was evident during Xi Jinping’s visit, when the Czech police primarily targeted Czech protesters and tolerated Chinese supporters organized by the PRC’s embassy in Prague. President Zeman’s actions damage the Czech Republic’s foreign policy on at least two levels. First of all, no matter what economic benefits the turn to Beijing eventually brings, the tone that the President is using with his Chinese counterparts is harmful. While the narrative emphasizes strategic partnership between the Czech Republic and the PRC, it is clearly not a partnership of equals. The image that the officials in Beijing inevitably have of the Czech Republic is one of subordination and a lack of self-confidence. No matter what the deeper motivation is, such behavior weakens and wastes a crucial currency in international relations – respect. The Czech Republic may eventually achieve at least some of the predicted economic gains (though the almost 3.5 billion euros of ‘agreed’ Chinese investment has remained elusive), but at the expense of compromising the international brand it has been developing for the last two decades. 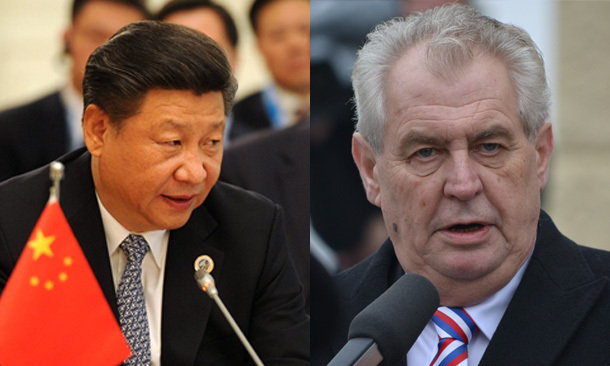 Moreover, Zeman’s steps towards China have greatly politicized Czech foreign policy. The China agenda has effectively been hijacked by the growing conflict between Zeman and his opponents, making Czech policy towards the PRC a mere function of an internal political struggle. Sadly, right at the moment when the Chinese role in global affairs is growing, there is no serious political talk about a comprehensive strategy towards Beijing. Zeman’s chumminess is matched by ideological hostility on the part of his opponents, but that hardly qualifies as a rational debate. There may be a good reason to seek closer economic ties with China, but not necessarily by compromising the Czech Republic’s normative preferences. And while it makes good sense to be wary of the communist regime and its practices, it does not have to hinder the development of some mutually beneficial relations. Such nuances, however, are almost inevitably lost in the current agitated atmosphere. It is difficult to imagine a quick fix to the situation. Despite his excesses, President Zeman remains popular with the majority of the electorate, and thus feels no need to adjust his behavior. 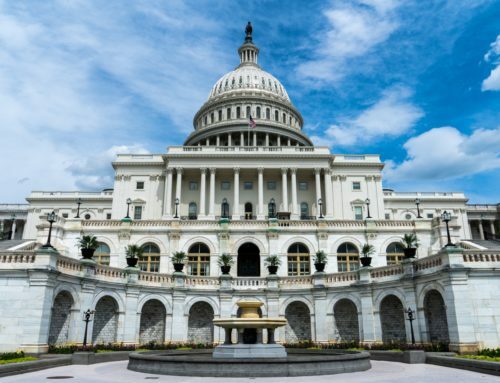 The government, which is formally responsible for the President’s foreign policy activities, is led by a politician who fears Zeman’s continuing influence over large swaths of the Social Democratic Party. Andrej Babiš, as a leader of the second-strongest party in the system, essentially represents the same anti-systemic populism which Zeman built his political success on. Other political parties have been marginalized. Civil society has been provoked into greater activity by Zeman’s apparent sinophilia but will need to invest much more effort and energy into sustaining that momentum. So far it seems that substantial change can only come with the upcoming parliamentary (October 2017) and presidential elections (January 2018), whose importance has thus greatly increased. The article was published in V4 Revue – http://visegradrevue.eu/hijacking-the-czech-republics-china-policy/. Ivana Karásková is an international relations specialist, trained journalist and China analyst. She lectures on Chinese foreign and security policy at Charles University and works for the Association for International Affairs (AMO) as its in-house China research fellow.